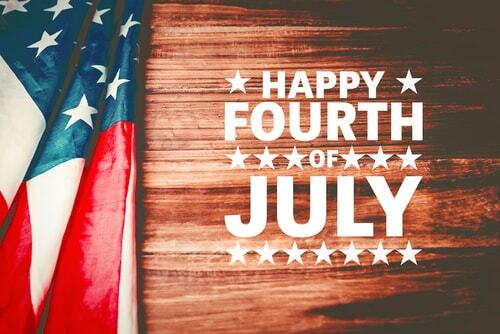 The 4th of July is a great opportunity for people in California to throw a backyard barbecue, take in some fireworks, or even head to the beach. Unfortunately, these fun family activities can be deceptively expensive, and it can be difficult to come up with that kind of money if you are already on a limited budget. 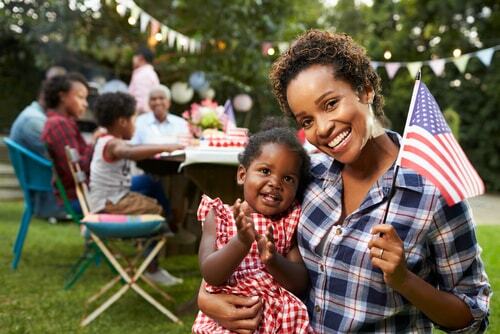 But that doesn’t mean your 4th of July can’t be memorable, because there are plenty of ways to both stay within your spending limits and have a great Independence Day. Here are a few smart ways to enjoy your holiday weekend on a shoe-string budget. It might seem a little unorthodox, but a yard sale can be a fun family activity that doubles as a way to declutter and make a few extra bucks, killing two birds with one stone. Get the whole family involved, sort through all the extra or unused stuff lying around your house, and organize it outside to set the stage for your holiday yard sale. Don't forget to put out signs throughout your neighborhood so people will know where to find you. You could even throw a barbecue to entice potential buyers and reward your friends and family for their efforts. It’s a great way to kick off your 4th of July and get some extra spending money for firecrackers and sparklers. The 4th of July has become synonymous with deep-discount retail sales, and while you may not enjoy the crowds or chaos, it can still be fun to venture out and track down some serious savings. Just be sure to make a list beforehand of what you're interested in buying, and stick to it. You won't actually be saving any money from a sale if you ultimately overspend on items you didn't need, even if they are a "great deal." Be sure to only purchase what you need and don’t fall into the trap of making impulse buys. A new mattress or patio set might be tempting, but sometimes shopping off-season can save you even more than the holiday sales. If you decide you need to throw a party or take the family on a road trip, one way you may be able to minimize the cost is by using the right credit cards. 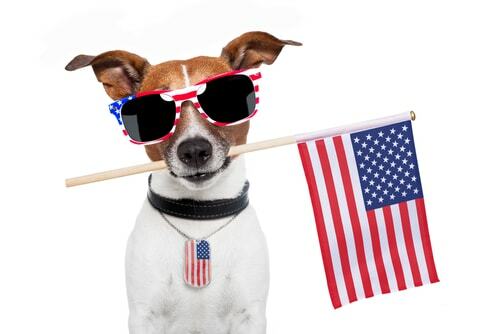 Many have cash back deals or special savings on certain products and services, with some promotions specific to 4th of July purchases and travel. Do a little research and see if there is a credit card offer that could save you some money on your holiday travels, or any special promotions you can take advantage of. July 4th celebrations happen all around you, so if your neighbors are planning a fireworks display, you could turn a few separate parties into a block party to get your whole neighborhood involved. Pooling your resources can make a big difference for your wallet, but not having the dough to blow on fireworks doesn’t have to be a 4th of July disaster. You can find a public firework display near you to attend, or watch one of the largest televised fireworks shows, the Macy’s Fireworks Spectacular, from the comfort of your own living room. There are also plenty of ways you can finance your fun if you know how much you’ll need and you know you’ll have the cash to repay it. Whether it be credit cards or auto title loans, as long as you have as good a pay-back plan, you can have your cake and eat it, too. While it can be tempting to go on a mini-vacation over the 4th of July, ask yourself if you really want all the hassle and expense the comes with it: packing, driving, flying, hotel rooms, staying with family. Wouldn't it just be easier to stay home this 4th of July? It's definitely cheaper, and it doesn't have to be boring. If you are absolutely set on taking a trip or throwing a big party, why not try planning it with friends and family to curb your expenses? When sharing the burden isn’t an option, the cash from auto title loans is another way you can get the most out of your holiday. You get the cash you need now and have plenty of time to pay off your summer fun. Towns throughout the state of sunny California host all sorts of 4th of July parades, festivals and celebrations, and as long as you don't spend too much on hotdogs and ice creams, attending them is usually inexpensive or free. Instead of throwing your own barbecue this year, simply invite your family and friends to join you at a local event. Do yourself a favor and check out your local events calendar: it takes the pressure off you, both in terms of time and money.